It seems odd in this day and age that a brand would have zero (or very low) social media presence, and yet here we are and there are still brands who are making this mistake. Many well-established brands continue to do business without investing much time in social media, influencer marketing, or relying on the bare minimum. Even worse, they don't actively engage with bloggers and don't know how to create meaningful relationships with them that are mutually beneficial. This distrust of new social media outlets is a residual effect from the days of traditional marketing and also partially based on the bad rep social media gets for being filled with fake accounts. But many brands forget that while a page in a magazine is impressive, it's gone after that edition. Meanwhile a blog post, a pin, a tweet or an image posted by a blogger can become even more impactful overtime. As a blogger, it's hard for me to imagine not being on as many social media channels as possible, yet I understand why the fear of social media still exists for many brands. Recently I was invited to an fashion show during Milan Fashion Week only to discover while waiting in line that the brand had literally NO social media presence. They had invited me along with several other Italian fashion bloggers and yet we were all in the same boat, unsure of what was expected of us, and yet willing to share (over-share in most cases!). In many markets it's still common to find fashion brands reluctant to fully embrace the potential of social media and rely on traditional marketing. 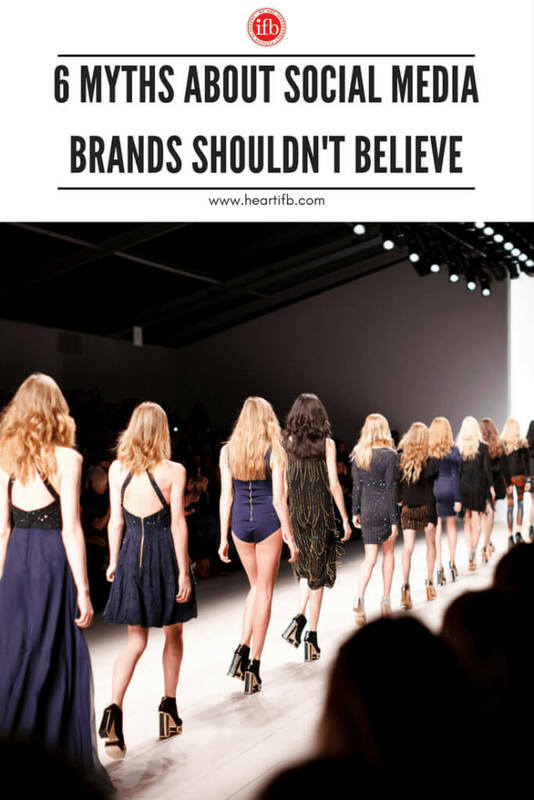 So I thought I would go over some of the prejudices brands have about social media and how, as bloggers, we can ease them into changing their minds. Although many new brands rely heavily on social media as a communication strategy to get their product and brand out there, many still view it as a guerilla marketing tactic with few results. Brands doubt the longevity of their messages and the return on investment through these channels. Although I do agree that brands should scale their social media presence according to their capacity (2 networks that are managed well, are better than 5 managed poorly), the ability to increase brand awareness is exponential, especially when you get the right bloggers involved. As with every marketing channel, people need to hear a brand's name 7 times before they remember it. This is a good rule to remember and to propose to any brand that approaches you for a collaboration. 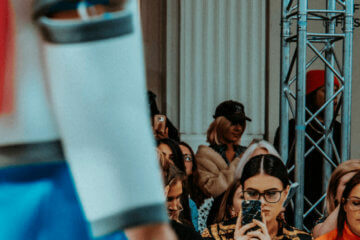 If you attend a fashion show and live tweet twice, post on facebook twice, share on Instagram once and do a post about it, send the brand an email with a summary of your sharing. If they're not on social media, share anyway and demonstrate to them what kind of impact (likes, comments, retweets) you generated for them. It's true that if you think you must work with a blogger with 1 million followers, you should should expect to be paying some hefty fees. However, a brand can receive so much exposure by working with medium tier or smaller bloggers in their niche. It's a great way to ensure that a large market segment is reached and most mid-tier bloggers are very willing to review items for free or create a post/review for a small budget. One brand that I collaborated with was picked up by the Italian National News Agency for a TV segment after one of their reporters (who loyally follows my blog) read an interview I did with them. From the small budget they invested in me, they were able to reach a national audience of millions without paying a penny for PR! I also work for luxury Italian brands and proposed a collaboration with some male fashion bloggers with fewer than 80K followers. During Florence fashion week, these bloggers (who worked for free in exchange for keeping the items they wore) were photographed by Vogue, GQ, and at least a dozen top Italian “gentleman” blogs creating thousands of dollars of impact at almost no cost. As bloggers, we can share these types of anecdotal results with brands to encourage them to take a chance both on social media and on blogger collabs. We've all seen what happens when the masses take to social media to express a negative opinion. Advertising campaigns can go awry with negative spoofs not to mention shaming, complaints and criticism. As much as we rely on social media to get positive messages across, the negative ones go hand in hand. But it's all part of what makes this type of communications so appealing: it is honest and real. For brands and designers this could translate into a fear of having the new collection received negatively in the public before production orders are placed, potentially lowering overall sales. Instead, I would say brands need to embrace the ability of social media to transmit a genuine opinion, and they should leverage bloggers to be as honest as possible. For example, a brand that specializes in petite clothing could invite petite fashion bloggers to create a series of posts comparing ill-fitting clothes from normal lines with the same outfit from the petite line while including a #hashtag such as #itfits! (Please someone do this; I am a 4'10” fashion blogger in a world made for 6 foot tall supermodels). Potential consumers want to buy into a brand that believes in its products so much that they are WILLING to accept criticism. Bloggers need to assure brands that this type of public feedback is positive and can entice changes that can help a brand grow. For years, marketers have struggled with the lack of feedback that comes through “one-way messaging” of traditional media. Finally, brands have the ability to interact with their customers and hear what they want, what they think and what they are willing to spend! The fake likes, followers and accounts phenomena that plagues social media prevents many companies from trusting the channel as a valid communications strategy. After all, what sense does it make to invest money and manpower if your message is only being received by spoof accounts? As bloggers it is our responsibility to prove to potential brand sponsors that working with us will provide them with real exposure to our followers, and that our followers are real people. The best way to do this is by creating a strategy to grow your social media accounts and interact with your followers. If Instagram is not your strongest channel, bloggers can show brands that they receive a lot of engagement in the form of comments on posts, on their Youtube channel or in other ways (newsletter subscribers, Bloglovin‘ subscribers etc). This is becoming more and more of an issue, driving brands back to traditional media, which is seen as being more trustworthy, so I take it as a personal mission to reinstate the trust of brands in bloggers by getting real. I have worked as an affiliate marketing manager for more than a decade. This type of sales tracking began as a necessity to give credit (and commission) where credit is due. The brands that have embraced affiliate marketing know that indeed sales are trackable to every type of online interaction, whether it's a link in a blog post, a mention on Facebook or a pin on Pinterest. Unfortunately (or fortunately), this type of tracking does not exist across all social media platforms, leaving many brands wondering if social media has any type of meaningful impact on sales. As a travel writer I can tell you that ALL TYPES of mentions on social media have the ability to impact sales. Think about a time when you saw a photograph of a beautiful place and thought “one day I will go there!” The next time you plan a vacation, the destination you saw in that photograph (even years beforehand) becomes your first choice. All purchases begin with desire and bloggers have the ability to entice that dream. Services such as LiketoKnowit, which rewards commissions for sales that begin on Instagram, are some of the first affiliate networks to pick up on this trend and we can expect to see many more. I cannot tell you the number of times I have approached brands with a strong desire to tell their stories and promote them through my blog/social media, only to be received with generalized statements about how I was “looking for something for nothing.” Talk about a relationship killing attitude. 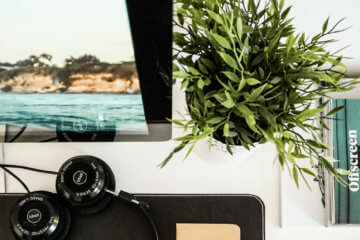 Although bloggers often receive free products to test and review, the value that a brand receives in exchange far outweighs the cost of the item. Fashion bloggers have overhead costs, lest we forget the time involved in growing a (trusting) audience and managing all aspects of a blog from various social media profiles, to comments, community building, post writing/editing/photographing etc. We also invest in hosting, blog design, advertising, equipment, CLOTHING and photographer fees. Brands need to recognize the costs involved in managing a blog and see the added value in working with bloggers as opposed to traditional media. A dear friend of mine sells advertising for a prominent Italian fashion magazine. When she told me what the costs were compared to what the distribution of the magazine was I was SHOCKED. My blog's pageviews were more than double the distribution and yet I ask a fraction of what they do for an ad. We hear it all the time, but as fashion bloggers we must choose relationships with brands that really do align with our personal taste and blog audience and demonstrate that we believe in the products that we promote and wear. Nothing is more valuable than authenticity. Hopefully there is a brand manager out there who I've convinced to start working with bloggers and invest more time, energy and money on social media strategies. Instead of fearing social media networks, brands must embrace them with the help of bloggers because the possibilities are endless. What are other social media myths that you're frustrated with? Comment below to start the conversation! thank you so much for #6! I can’t tell you how many times I’ve gotten responses like that or even just people who wanted to send free product, but expected SO much in return for free. Many brands can be downright demanding and they don’t want to invest in bloggers. I get other responses like “we normally don’t do sponsored content” etc. And these are the same brands that want to make all these demands about topic, timeline, publish date, and keyword links. On the flip side, I’ve also worked with some incredible brands who have been amazing so I’m grateful for them. this was a great comment. I personally am always very clear when a brand sends me “free things” that I retain the right to review them or not and WHEN the article will be published. I also give priority to paying brands or brands that I have a long relationship with. As bloggers we should start being more unified in terms of our responses to raise the bar in how brands work with us, thanks for your comment! I really get it- and another thing, sometimes smaller brands just don’t know what they’re doing in the social media department. I’ve hooked several talented friends up with creating websites, social media profiles, etc to help them reach out to a larger [international] audience, and they all say in the end, it’s totally worth it. Never underestimate the power of blogs and social media. YES ! Absolutely. When you consider that this is a practically free channel with exponential possibilities it seems strange not to use it, but you are right the smaller fashion designers are still discovering social media. It also takes TIME…a lot of time to do it right, and I think many of the smaller players are worried about doing it wrong. The beauty of the internet though is that it is a great platform to learn and grow with. And GOOD FOR YOU for helping the designers you can! Great article – sharing! If an influencer has been around for at least 2-3 years, they most certainly aren’t doing it for “free stuff” – it becomes a second job for some and a primary job for others! VERY good point Jen, that is so true. Ha, if I divided the amount of “free stuff” by the hours I spend on the blog I would be making less than minimum wage….better not to think about it! Thanks for your comment and nice to meet you. It’s a really good article! It helps clarify some points which are KEY to the brands-bloggers relationship, that both brands and bloggers should take into account. Well, there is nothing like social media, i would like to say from my personal experience that If you are not on social media these days you are going to be out, people spent average 2-3 hours in social media in a day, its an amazing opportunity to go out and reach people there to spread your brand voice to them.